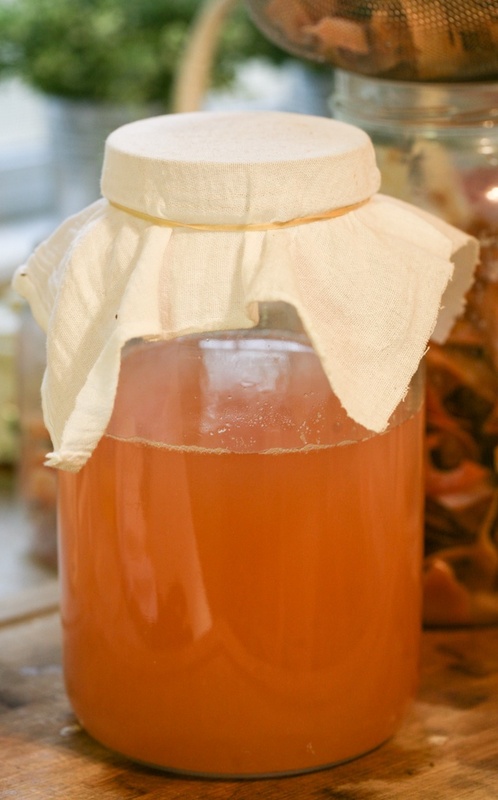 In this post, we will learn how to make apple cider vinegar at home. A few weeks ago I made a large batch of applesauce. I was running out of apple cider vinegar so I decided to go ahead and use the apple cores and peels to make vinegar before throwing the “waste” to the chickens. 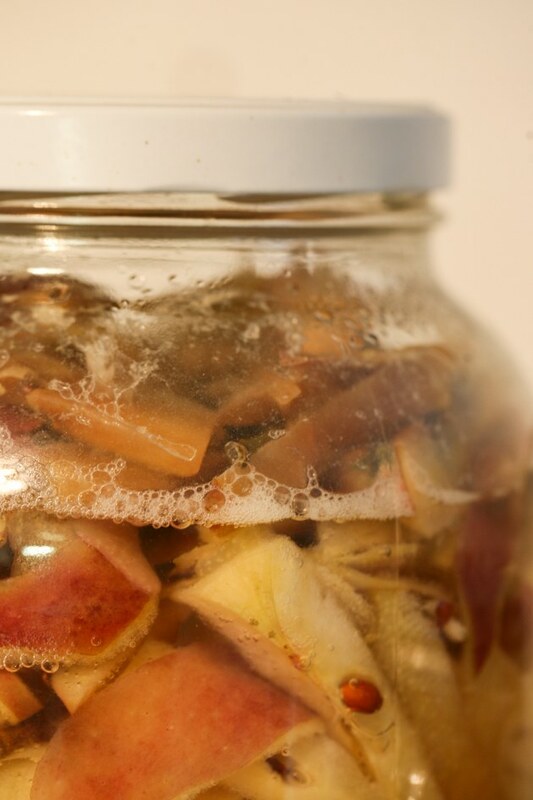 Making apple cider Vinegar at home is fairly simple to do. 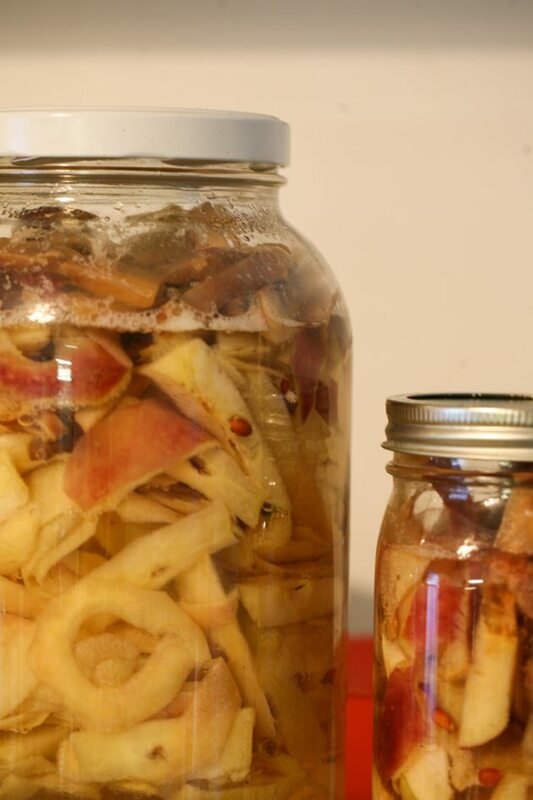 All you need is apple cores and peels, water, sugar, a jar, and some time. 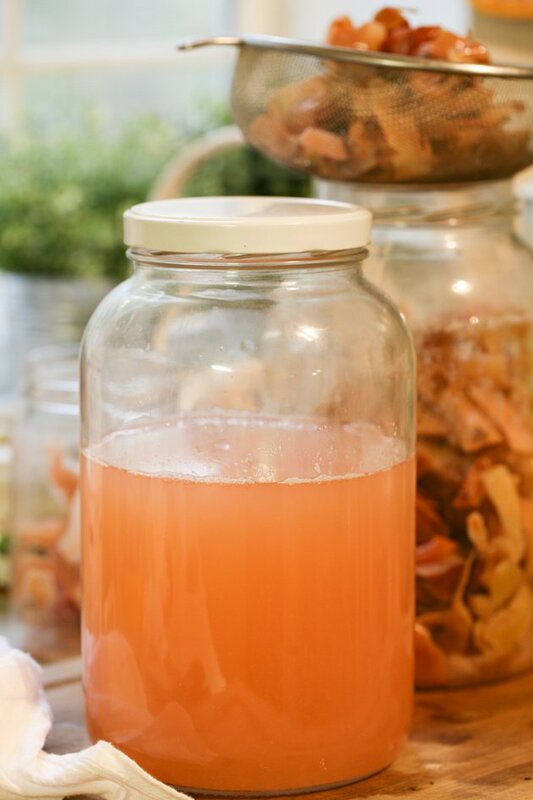 You can use your homemade apple cider vinegar just as you use store-bought vinegar however it’s not recommended that you use it when canning food. 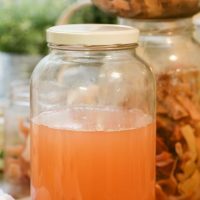 While preserving food you should use vinegar with 5% acidity and since we don’t really have a way to check the exact percentage of acidity in our homemade vinegar, it’s better to use store-bought vinegar for canning. 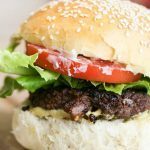 It’s amazing to me how easy it is to make such a healthy and useful super food at home. Apple cider vinegar is known to lower blood pressure, lower cholesterol, assist in digestion and metabolism (many people drink it to lose weight), reduces blood sugars levels, and assist and prevent many gut issues. You can clean with apple cider vinegar, you can use it as a hair wash or for skin care, you can cook with it, drink it raw for an energy boost or for weight loss, catch fruit flies with it… The list goes on and on. Every home should store apple cider vinegar and today I am going to show you how simple it is to make your own. Before we start let me just note that since we are using the peels it is best to use organic apples. If you don’t use organic apples that’s fine too just make sure to wash your apples well before you peel them. You want to try and cover the apple peels with water. Remember, for every one cup of water add one tablespoon of sugar. Keep adding cups of sugar water until the apple scraps are covered but make sure to leave a couple of inches of room at the top of the jar. 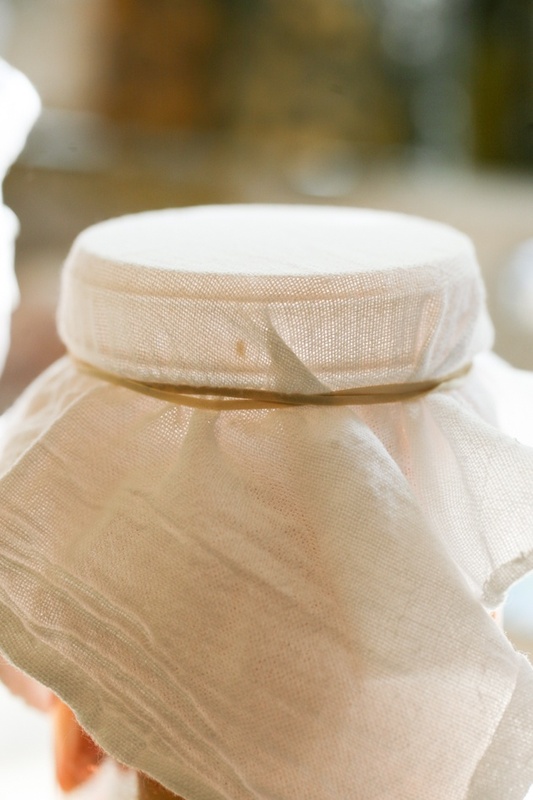 Cover the top of the jar with a thin kitchen towel and secure with a rubber band to keep the flies away. 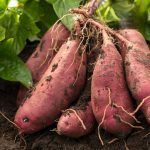 Now you want to place your jar in your pantry, in a cupboard, on a shelf somewhere… Somewhere at room temperature, preferably dark, out of the way kinda spot. You are going to leave the jar there for two weeks. After a few days, you’ll notice the fermentation bubbles. The good bacteria that is developing in the process will eat the sugar we added to the water. You can give it a little stir every few days if you like. If there is some brown stuff forming on the top it’s ok, you can spoon it out or you can strain it when the process is done. After two weeks, it’s time to strain the vinegar and remove the scraps. I placed my strainer over a large bowl so it can catch the liquid. The scraps can go to the chickens. I placed the strainer over a clean jar and ran the vinegar through it again and into the jar. Cover the jar with the thin towel again and secure with the rubber band. At this point, we need to let the vinegar sit at room temperature for another two weeks or so to get the final vinegary taste and smell. That’s it! After a couple of weeks, you can close the jar and store it. Some like keeping it in the fridge, I just leave it in one of my kitchen cupboards and it seems to be happy there at room temperature. 1. 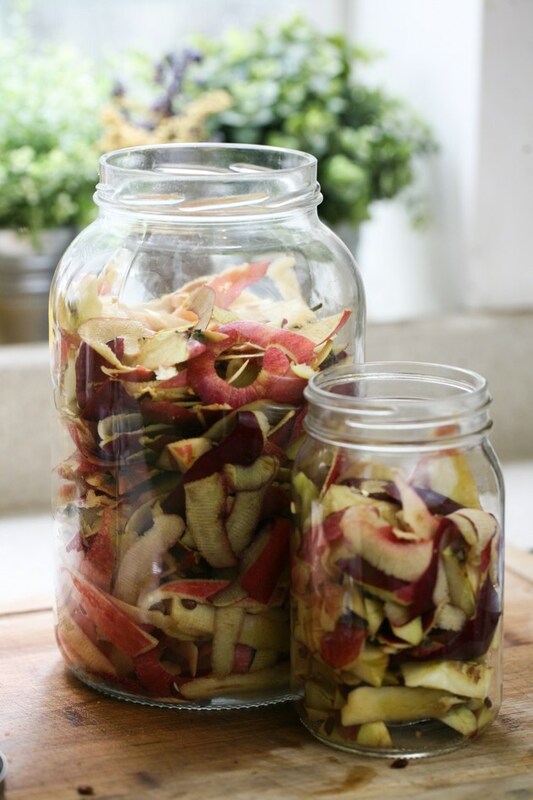 Place the apple scraps in a jar so they fill 3/4 of it. 2. 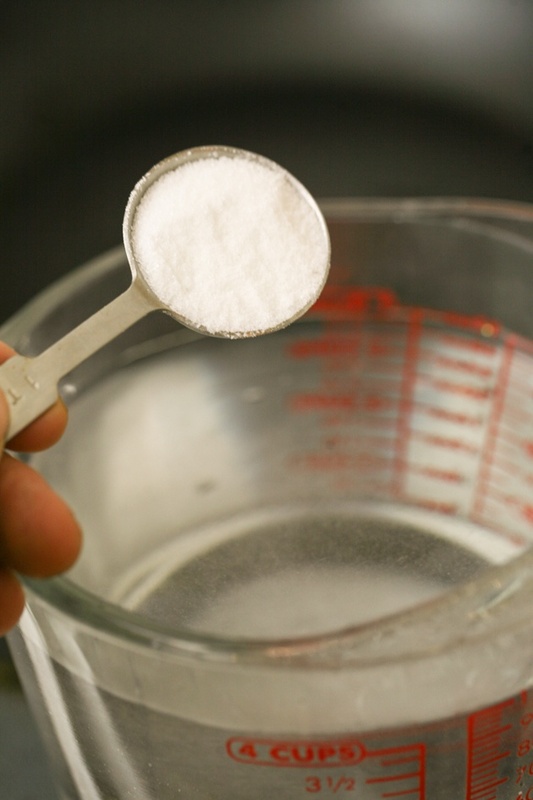 Add one tablespoon of sugar to every one cup of water and dissolve. 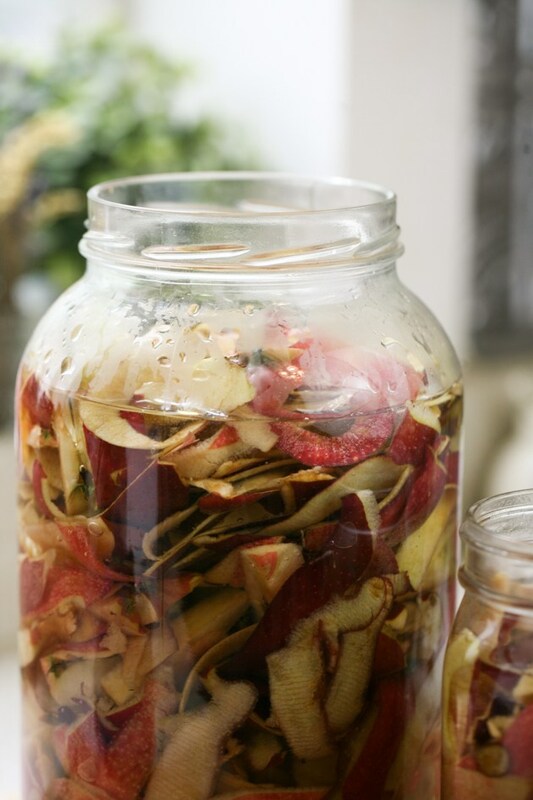 Add the water to the jar of apple scraps. 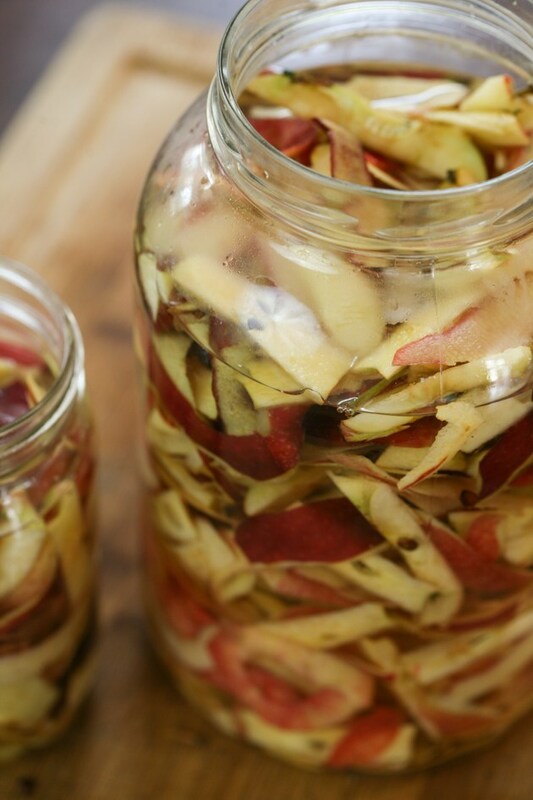 Keep adding sugar water to the jar until it covers the apple scraps. 3. Cover the jar with a thin towel and secure with a rubber band. Place away (preferably in a dark and warm place) for two weeks. 4. 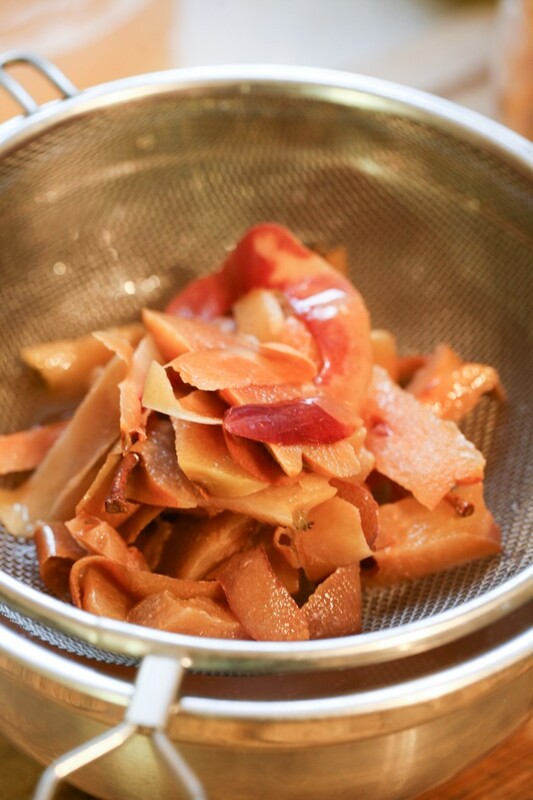 After two weeks, place a strainer over a large bowl and strain the vinegar. The scraps can go to the chickens or to the compost pile. Place the strainer over a clean jar and strain the vinegar again into the new jar. 5. Cover the jar with the thin kitchen towel, secure with a rubber band and place away for another two week. 6. That's it! Cap the jar and store in your pantry. You can use your vinegar just as you'll use a store bought apple cider vinegar.